Contrasting with the sunny beaches and lively nightlife, the museums of Ibiza add a touch of culture and suit those looking to learn more about the history of this Balearic Island. 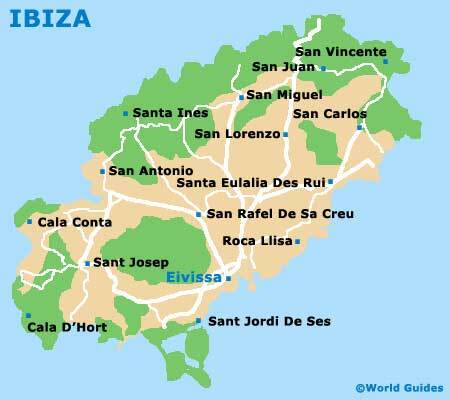 Head to Ibiza Town for the best museums on the island. These include the Museo Arqueológic (Archaeology), which is located within the fortified Dalt Vila district (Upper Town) and stands on the Placa de la Catedral, alongside the cathedral, where particular highlights include treasures from Sa Caleta, an ancient Phoenician settlement. Do bear in mind that it is a fairly steep walk to get here, although along the way you will pass some interesting gift shops selling models of various fertility goddesses and other museum exhibits. Also to be found within Ibiza Town and situated relatively close by is the Museo de Arte Contemporáneo MAC (Contemporary Art Museum), which actually occupies a powder store / armoury used in the 18th century. Expect to find large canvasses and avant garde sculptures at this very notable art gallery. Close by is the Placa de la Vila, the Placa dels Desamparats and the Palacio Episcopal, amongst other attractions. The Museo Arqueológic is housed within the Salvador Chapel and contains a major collection of prehistoric artefacts and relics, dating from the times when the island was ruled by the Carthaginians, Phoenicians, Romans and the Moorish. Items on display include ancient tombstones, small statues, coins, glass and ceramics items. The impressive building that houses the Archaeology Museum was once the home of Ibiza's government for more than 300 years. Established in 1971 and located in the historic Dalt Vila district, the Contemporary Art Museum has several exhibitions throughout the year. Founded in 1963, when it was part of the biennial international art show, the art gallery includes many works of art by both local and international artists. This Galeria Van der Voort is one of the best art galleries on the island and contains many important and impressive works of art and photographs. Both local and international artists regularly exhibit at this art gallery. 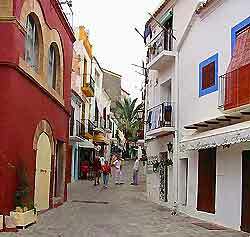 The Galeria Es Moli is located in a private house which is situated between the Port de Sant Miguel and Ibiza Town, and is easy to reach by bus. A fascinating place to visit, the Es Moli gallery features interesting works of art, including modern art and some photographs. Exhibiting the varied works of art by local Balearic artists, the House Gallery is situated in the S'Eixample region of the island. Exhibitions at the House Gallery last around one month and often include atmospheric photographs of island scenery.